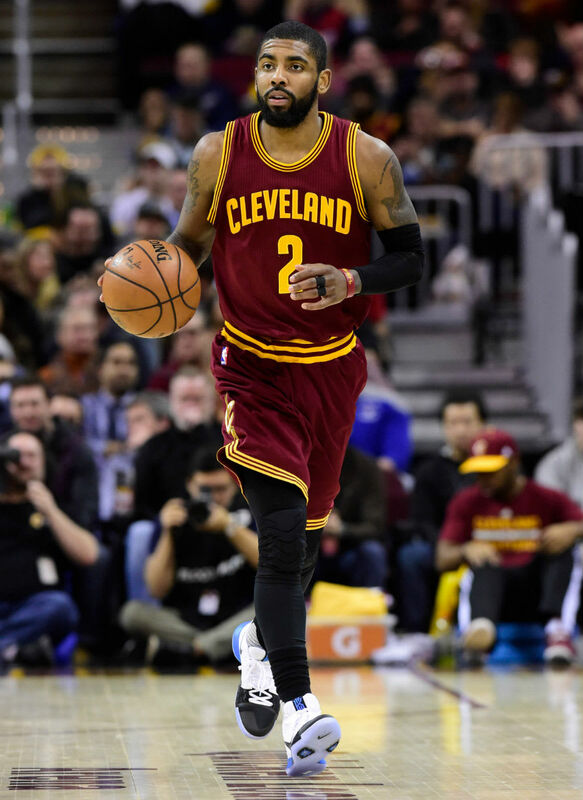 Showing just how much more relaxed the NBA is on footwear rules versus the NFL, Cleveland Cavaliers point guard Kyrie Irving continues to wear his new signature shoe in Duke-flavored colorways with no real peg to the season. Irving debuted his latest Nike Kyrie 3 PE at home against the Minnesota Timberwolves earlier tonight. One of the best colorways of the model to date, the shoe features a Fragment-like mix of a white upper, black toe, speckled Swoosh and black-to-blue gradient midsole. Irving finished with 14 points and a career-high 14 assists to lead the Cavs to a much needed 125-97 victory.